Chuck Moses began his professional career as a lead singer and bass player in Detroit Michigan at the age of 14. 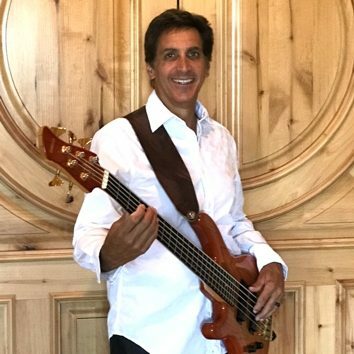 He has opened for The Beach Boys, Eddie Money, Steve Miller, Eric Clapton, Cream, Procul Harem, and other well known artists. Chuck opened for Bob Seger during the “Against the Wind Tour,” and played in various projects with members of The Babys and Grand Funk Railroad. He has also recorded albums on Fantasy and Capitol Records. Chuck was vocalist and bassist for a group inducted into the Michigan Rock and Roll Legends Hall of Fame. Over the past several years he has entertained in Detroit, Las Vegas, and Tucson where he currently lives. Everywhere he appears Chuck wins over audiences by singing a wide range of songs.